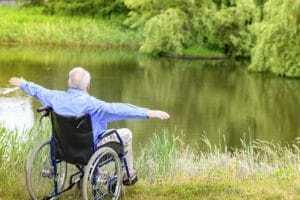 Your mobility issues should not stop you from having a fulfilling life outside of your home. Regardless of whether you use a scooter, a wheelchair or a power wheelchair, you deserve the freedom to safely travel independently or with your loved ones. Advantage Home Health Solutions has a variety of mobility devices to allow you to travel greater distances without the physical costs that are associated with mobility issues. 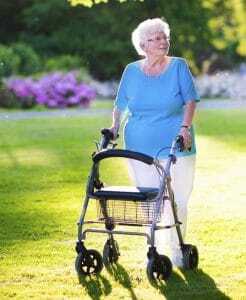 Advantage Home Health Solutions not only provides solutions for you to maintain your access and freedom inside your home, we also offer mobility devices that allow you to travel freely outside of your home. For personal mobility issues such as walking difficulties or maintaining balance, we offer various mobility devices appropriate for your activity level and lifestyle. 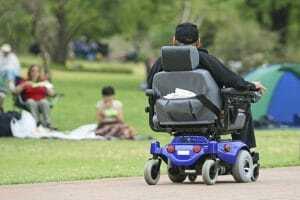 The number one mobility problem for seniors and disabled persons is falling. A fall can result in broken bones or injuries, or worse, a ‘fear of falling’ mindset, deterring you from participating in daily living activities you enjoy. Advantage gets to the root of the problem, and addresses your unique mobility needs, ensuring you feel secure no matter where you’re headed! From wheelchairs, to power scooters, and walkers, we have a solution that will help you get around safely. Our mobility devices safeguard you from potential injuries, giving you the peace of mind and support wherever your next adventure takes you. Walkers and Rollators help you feel safe when walking on your own. While walkers can be used indoor and outdoor, they are not meant to be used for rough terrain. Rollators, also known as four-wheel walkers, include a seat, wheels and brakes. Four-wheel walkers move while the users is walking, while two-wheel walkers do not have brakes or a seat. They are ideal for people who require stability when they lift their feet to walk forward. Walkers are made for anyone who requires added support and stability when walking. We provide three different types of mobility walkers: basic, two-wheel and 4-wheel. Basic Walkers: The basic mobility walker has four legs like a chair, along with a pair of handles but no seat. A person using this type of mobility walker must pick up the walker in conjunction with their steps. These walking aids are the recommended option for a person with stability needs, as the solid frame can hold the user’s weight when required. Two-Wheel Walkers: Similar to the basic walker, the two-wheel mobility walker adds wheels to the front legs. The user can put more weight on the two-wheeler, moving with ease, while maintaining the stability support through the rear legs. If you do a lot of walking outside your home, a four-wheel walker is a stronger choice. Four-Wheel Walkers (Rollators): These offer the most mobility and the best option for walking longer distances. Wheelchairs and power wheelchairs are an ideal mobility solution for people with little or no ability to walk. Power wheelchairs can be used for both indoors and outdoors. At Advantage Home Health Solutions, we are knowledgeable of the different types of power wheelchairs, so we can help you determine which type of wheelchair fits your unique needs. Power wheelchairs are composed of two sections, the base and seat. The base houses the power, batteries, and motor, while the seat is what you’d expect, but with an added joy stick on the armrest that directs movement. Scooters are an ideal mobility solution for people who are ability to walk, but struggle or are unable to walk for long distances. In this case, a scooter is a great option for you! Unlike a power wheelchair, you might have limited accessability to certain areas with a scooter, because of its large size. However, mobility scooters are great for safely traveling longer distances to places like the grocery store or the mall. But, there are many scooter sizes that provide the choices most important to your mobility needs. The fit. Check to see if the height of the scooter, and the seat, are comfortable for you while maintaining a good grip of the tiller. The ideal sitting position is a straight back, with knees bent at 90 degrees; bad posture can cause stiffness, soreness, or chronic pain. Where you’ll use your mobility scooter most. Advantage offers different types of scooters: portable, three-wheel, and four-wheel, each with their own benefits. A three-wheel scooter is the best option for tight turns. A four-wheel scooter has better stability, and depending on the model, can handle rugged terrain and steeper inclines, making them perfect for outdoor use. Portable mobility scooters should be considered if you do a lot of traveling, and need to pack up your scooter frequently and conveniently. Ease of operation. The tiller-operated scooters require you to have hands on the handlebar at all times, as well as the dexterity to manoeuver the machine. If you struggle maintaining your grip and pressure on the tiller, ask us about our delta tillers, which can be operated by one hand. Our array of mobility devices can be overwhelming; let us help you decide whether a two wheel walker, scooter, manual wheelchair, power wheelchair, or four-wheel walker is right for you. We can then advise the specific type of mobility device that’s best for you to take full advantage of your newfound mobility! Contact our mobility solution specialists today!